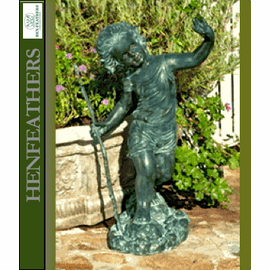 Bronze Statues - A personal favorite, this enchanting bronze garden sculpture represents two small, boisterous and joyful children playing leap frog in the garden. Special order, with a $150 oversized handling charge. 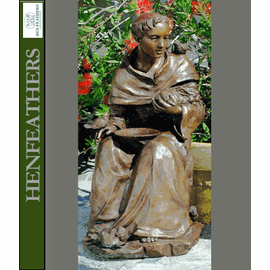 The uniqueness of every design is captured by the hand molding and hand rubbed finishes, no two pieces are exactly alike, much like an aged antique. 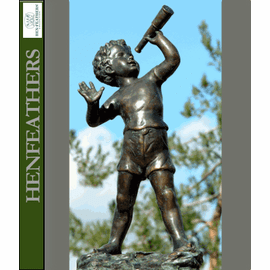 The Patina on each Bronze varies and the images in our online catalog show bronzes in various stages of outdoor aging.